Used equipment often works as well as new equipment. 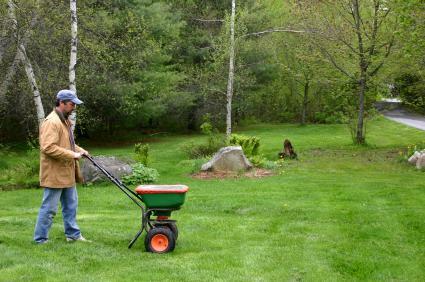 For many gardeners, buying used fertilizer equipment is one way to get the job done without spending a fortune. Used equipment can be purchased from a variety of sources and there is often an abundance in the spring and summer months. If you've been waiting to buy an expensive piece of equipment, consider buying a used one first. There may not be much difference between new and used equipment, aside from the price. It is only natural to want to buy a new piece of equipment to add to your gardening arsenal. New equipment usually comes with some sort of guarantee or warranty which makes the buyer feel more confident; they can return the equipment if it doesn't live up to expectations or if it breaks down during normal use. Did you know that many pieces of used fertilizer equipment also come with warranties? Manufacturers will sell used equipment and call it "reconditioned." This means that someone returned it after using it, perhaps only once, and therefore it cannot be sold as brand new. When this happens, manufacturers will sell it with the original warranty. The only difference is that the equipment has been marked down from its original price. Fertilizer equipment is not used regularly, which makes it a piece of equipment that doesn't lose its value quickly. This type of equipment is typically used early in the year and then placed back in storage, often in a dry barn or garage. When someone does decide to sell his or her old equipment, the buyer will often find it in good condition, ready to be used right away. Penn-e-Saver - this local weekend paper, and others like it, is full of ads from local individuals and businesses selling used items. Look in the index under "Auctions & Sales" or "Farming" to find used equipment. Auctions - if you love the thrill of bidding on items in person, an auction is the place to go. Auctions are advertised in local papers. Look for household auctions primarily and in some instances, farm auctions. If you're looking for small equipment, a household auction is the most likely place to find the gardening tools you need. For those individuals gardening on a larger scale and looking for equipment that will be attached to a lawn mower or garden tractor, farm auctions will be the most likely place to find the fertilizer equipment you need. The Internet - simply Google "used fertilizer equipment" to find out what companies are selling this type of equipment. From small equipment to much larger pieces, you'll find it online. In addition, look for "reconditioned" equipment in the clearance section of your favorite retailer's website. eBay - this online auction is one place to find used equipment. However, the buyer must beware. Read all of the information regarding any auction, specifically the return policy. In addition, the shipping cost may increase the overall cost of the used equipment to the point that buying it new would be a better deal. It is advisable to thoroughly clean any used equipment before using it. Never assume that it was well cared for before you purchased it. For gas-powered machines, be sure to follow the manufacturer's manual for general maintenance. Oil any gears before using the equipment as well. If the machine didn't come with a manual, most can be found for free on the manufacturer's website and downloaded. Once you have purchased used equipment you may find that you start buying many of your favorite gardening tools used. If the only difference in the equipment is the price, buying used will help you keep to your budget and help you save money for your next big gardening project.